Rule the skies, feed the kids, and surprise your prey as the fierce but caring Mama Hawk. 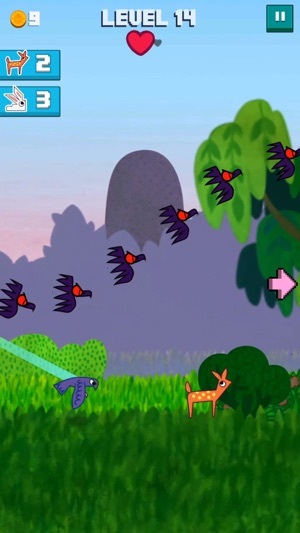 • Over 100 levels of animal-grabbing, baby-feeding, high-(and low)-flying fun, each with a variety of challenges like obnoxious skunks, prickly porcupines, and bipolar clouds. • Over 25 unique animals will make you appreciate the beauty of nature! And then you feed them to your kids! 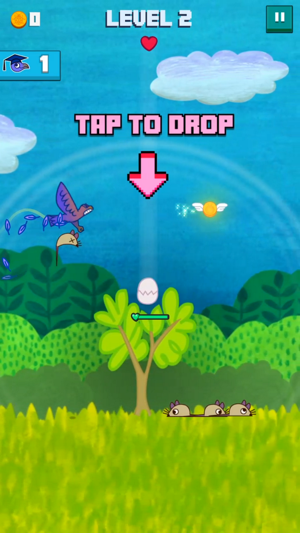 • Mama Hawk is a fast-paced parenting simulator with flight and downward dives. Your babies’ survival depends on your speed and skill! • Who needs the Queen from Aliens when you can be MAMA HAWK? She can pick up animals thrice her size, and won’t hesitate to drop a cute bunny into her nest of hungry babies. 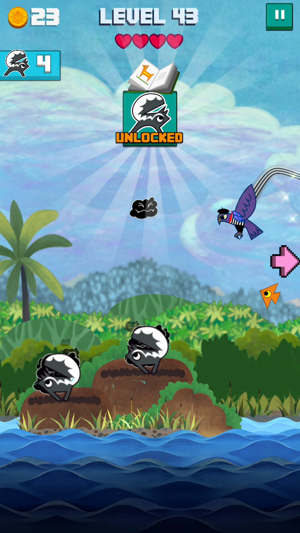 • Collect bug coins to unlock upgrades and power-ups. 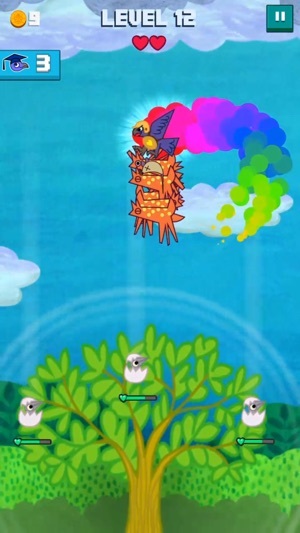 Bug coins are cute enough as it is, but in MAMA HAWK, you get awesome upgrades to go with them. • Simple, one-finger control scheme is easy to learn, but with a sky-high ceiling for mastery. When you get really good at Mama Hawk, the game soars (pun intended). - Facebook Ad network installed. I fell in love within the first levels and honestly who wouldn’t? 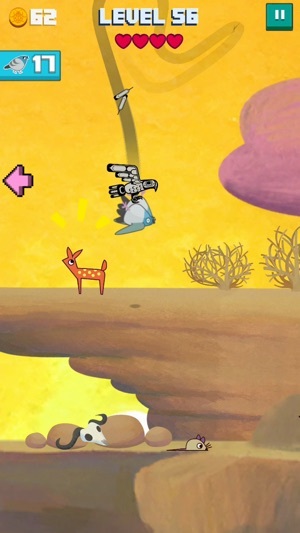 A unique and fun concept (especially for an animal lover like me), an enjoyable and cute art style, clever challenges and more. Although the game is very good I have finished all the levels. I would like for you to add more levels. If it’s not to much to ask. I do have an Idea for the levels. So you can make it the game more fun! So you should have 100 levels in one big level, but different tasks for the levels. So once you finish the first 100 levels. You go to the second big level. Hopefully this makes some sense. If it doesn’t I’ll but it this way it’s 100 levels in one big level. And for the next big level you go to either a different planet or Realm and for the different planet or Realm there is different task or animals to catch!! A classic remade! please update! EDIT: Please update the app with more content! i've finished all 70 levels more than once. id love an infinity mode of some sort, like a "go til you die" type thing to try and beat high scores of other players. please make it happen!!! So many people think this is a new game, but it's not!!! there was an extremely old video game on a system that would connect to the front of your tv where you would catch food for your baby hawks. this is basically that but better. i've always wished i could play that game again. it was a favorite when i was little. and now i can!! thank you! !